I’ve been a huge podcast fan since the beginning of podcasts and this summer there has been a gold rush of great podcasts. I have so many I love now that I can basically listen to nothing but podcasts for 5-8 hours per day. It’s totally dorky and totally sweet. I listen to them while I’m cooking and while I’m running or walking the dog! 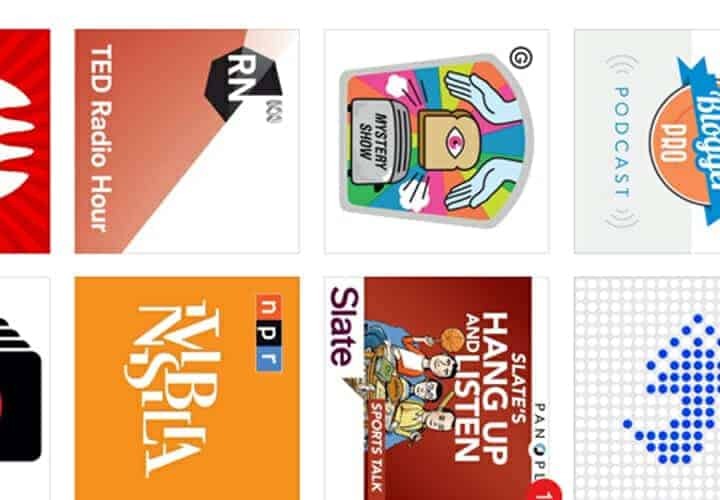 Here are a few of my favorite podcasts that have come out fairly recently! Mystery Show – This podcast has done one full season and won my heart over pretty quickly thanks to the quirky host, Starlee Kine. It’s sort of like Serial except much less intense and each episode focuses on solving mysteries rather than the series focusing on one large mystery. Ex Episode: Starlee finds out how tall Jake Gyllenhaal is which was surprisingly difficult. The Gist – This podcast has been around for over a year I think but I’ve only listened to it for a few months. My favorite thing about it is the host, Mike Pesca, who is funny and super-duper-smart. Also, it comes out every weekday. Lots of listening! Reply All – This one is all about the Internet, but stays away from most mainstream internet stories. Instead it focuses on strange and odd stories that somehow involve the Internet. The hosts are two dudes who seem like they probably send the best group emails. Invisibilia – This is such a smart podcast. It investigates hidden forces around us everyday and I’m totally in love with it. Season two starts soon I think! Food Blogger Pro – A niche podcast to be sure, but if you run a food blog or want to start one, Bjork just started this podcast where he interviews food blog stars. He knows a thing or a million about running a successful food blog (Pinch of Yum) so his advice is worth its bandwidth. Fill your ears with smart people! Have a great weekend everybody! If you have a good podcast you love, leave a comment with the name!